Rear-end collisions can range from an inconvenient bumper-to-bumper accident to something gravely destructive, both to property and life. 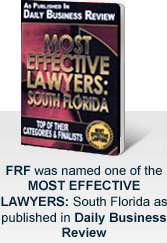 If you have been involved in a rear-end collision in Miami, the time to contact our attorneys is now. Driving through our expressways and roads, one will quickly notice how crowded our streets can be no matter the time of day. The sheer number of drivers mixed with the general impatience of drivers wanting to get home quickly, we see rear-end accidents happen on a regular basis. Many clients seek our help when attempting to decide how to proceed after their accident has taken place, but the sooner you contact us, the better the chances we have to make a strong case on your behalf and help you recuperate the losses and damages you have sustained. Contact our team at 305-448-8585 to discuss the details of your rear-end collision. The leading vehicle is forced to stop quickly, unable to give the following car a chance to stop. This can happen when the driver is distracted or their vision has been obstructed. The following vehicle is speeding or driving recklessly, preventing it from stopping in time and hitting the leading vehicle. Your compensation will generally be based upon the extent of your injuries, but that does not mean that you should let a seemingly innocuous accident slip by. Often, injuries present themselves after a collision, perhaps days, weeks, or months after, once our bodies have had time to process the event. You should take every measure to ensure you are injury-free, even if there are no obvious signs of injury. For those with clear and evident injuries and for those with not so clear or evident injuries, our goal is to help you obtain the money you deserve, which should include the expenses you have come across due to the accident, as well as any income you have lost because of it, as well as your past and future pain and suffering. If there has been a fatality, our attorneys will be with the family every step of the way to help pursue a wrongful-death claim on behalf of their loved one. Regardless of the extent of your injuries, you should act quickly. There are statutes of limitations for rear-end collisions in Miami. 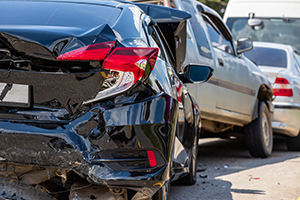 Generally you have four years after the date of the accident to file a lawsuit if you were injured in the crash and two years if someone died as a result of the accident. That’s why you need an experienced team of attorneys on your side who can swiftly and competently prepare your case and demand compensation for your losses. To discuss the details of your claim and to set up a free, confidential consultation, call us at 305-448-8585, or contact us online. We are available in English, Spanish, and Creole.